The United Party for National Development says it will petition the election of Patriotic Front candidates in Lundazi, Chililabombwe and Chavuma ward bye elections owing to the violence instigated by the PF against its officials, members and the electorate. 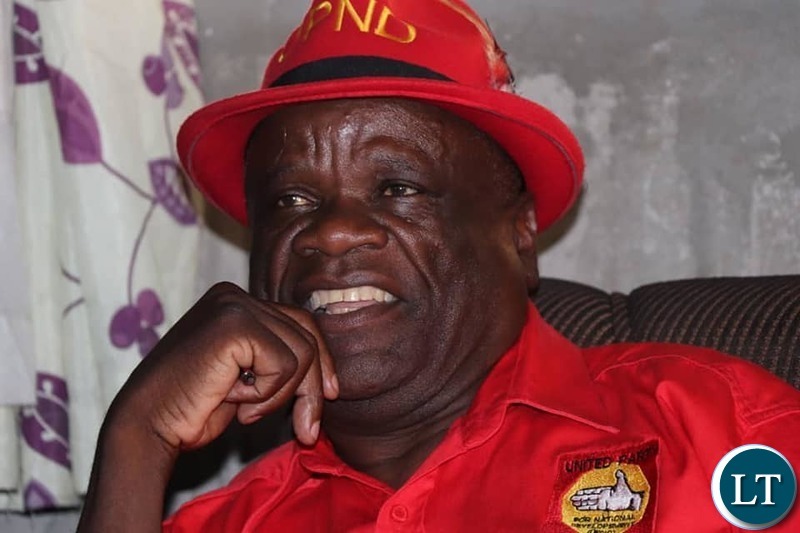 Party Secretary General Stephen Katuka says in Lundazi, Eastern Province, the PF went as far as abducting UPND officials and maiming them leaving them half dead. Mr. Katuka says further, there were atrocities and mayhem committed by PF thugs aided by state police in Sesheke that saw the UPND President Hakainde Hichilema and others face assassination attempts on their lives due to live ammunition that was being fired at them. He said Mr. Hichilema and his entourage were completely denied access into Sesheke for campaigns as they were being blocked despite a agreed campaign programme and venues they should have addressed rallies. “On the day Mr. Hichilema tried to address a meeting in the outskirts of Sesheke, some 40kms away from where the PF were having theirs, heavily armed gangs from Lusaka’s Intercity aided by state police disrupted the meeting by firing live bullets at unarmed civilians, with Mr. Hichilema finding solace in the bush going into hiding by walking more than 8 hours”, he added. Mr. Katuka said elections under the PF regime is no longer a contest to serve the people, but it’s now a bloody bath for preservation of power and hide corruption. into the area.These thugs, going by the pictures circulating on social media and some mainstream media are well-known. Others were being transported from other parts of the country to brutalise the usually peaceful Sesheke residents”, he said. He said that the PF through Mr. Mwila agrees with us that political violence is one of the crisis the country is facing and must be addressed by the Church led National Dialogue. Mr. Katuka has urged the PF to be sober, civil and democratic in the manner they are running the affairs of the country which is currently hurting due to their irresponsible leadership. “For now we are ready for Bahati and other coming elections”, he added. I hope the petition takes 3 years like the Munali one…. Why are your not petitioning the Sesheke results too. Weren’t we told there was violence in that area. When you win, all is well regardless of violence. When you lose ati violence. Dunderheads indeed! Uzaiziba boma, all those thugs who call the ruling party boma,were given a lecture by the boma. Civil servants run the government arms on behalf of the Zambian people. Please in Luapula Bahati don’t adopt a kid like ka Kangombe of Shesheke. Luapula we don’t fight. Mansa is a different story bro. It is unfortunate that Chimese is arrested, he could have made the best UPND candidate. Need a very very mature person, especially a woman. Mature I repeat. Ikalenifye everytime you lose niku koti, when are you going to grow up? What is amazing in sesheke is that even the police are tribalistic. They were beating PF members only. I can’t stay in there. I’m happy in Kasama. servants charged with that responsibility. pf should petition sesheke elections for use of lightening and bees by the UPND. You lost, just sit down. ati ready for Bahati..laughable, isn’t? Katuka and UPND you have won Sesheke parliamentary election.WHAT ELSE DO YOU WANT.? The way other people from other provinces vote is VERY GENUINELY in comparison with southern and some parts of western country.By elections for local government elections UPND lost,just accept and move on. WHY KATUKA LIKE CHASING WIND. ?Otherwise PF is the one to petition Sesheke nonsense which was flagged by UPND stooges. Now the boma has taught pf cadres who boma ni boma is, we that the police for casting out the demons of thuggery and pangary out of the pf cadres, FINALLY! THEY KNOW WHO IS BOMA, its not ruling party that is boma,but the civil service. Baizi boma manje.uzaizi boma. Let us not experiment power with this guy. He should never go beyond 3 provinces. Kkkkkkkkk…….is this Katuka normal?Just enjoy your peanut salary from greedy HH’s UPND than yapping nonsense via the media!! !Katuka does not need to be reminded that since 2006,HH’s UPND has never won in 6.5 provinces.Hence,what was so special yesterday to hope that UPND could have beaten PF in such areas as Lundazi,Chililabombwe,Samfya,etc? Then Katuka continued that “upnd is ready for Bahati”,…….kkkkkkkkkkkk….is the UPND’s SG normal?BO KATUKA “BAHATI IS NOT IN DUNDUMWEZI BUT IN LUAPULA WHERE PF IS EXTREMELY STRONG”.Whether HH camps in Bahati for 90 days,STILL PF WILL 100% RETAIN ITS SEAT! !PF IS LUAPULA AND LUAPULA IS PF-MARK MY WORDS!!! UPND only defended their seat, and now they think they are winning kikiki. Retaining a seat is winning to upnd….kkkkkk. Upnd should be taught a lesson in Bahati. Luapula plz prepare bees, lightening and pangas for these tribalists, up and down. They dont want others to campaign freely in their bantustan strongholds yet expect freedom in others strongholds. What kakuta is saying is despite the pf violence, intimidation and harassment UPND won in sesheke…. As we keep saying, if lungu is as popular as he claims to be, why are they using violence ??? This makes PF wins questionable …. To the UPND media , I stressed the importance of video footage during the general elections….let’s hope you have learned…without video footage no one will be live you. This is daft tiresome UPND behaviour. They really depressed people. The results were clearly clear wins for PF over long margins. UPND, lost resoundingly. There can be no gain even if decongested. @Spaka,your UPND can do whatever they want but believe me,HH’s UPND shall never win in bemba & Nyanja speakers dominated 6.5 provinces now or in 2021!! !LET THIS FACT SINK ONTO YOUR HEAD! !WE LIVE IN ZAMBIA AND WE KNOW THIS FACT!! !The biggest challenge for PF in 2021 is voter apathy in its strongholds and not HH’s UPND!SHOULD PF MANAGE TO RECORD THE VOTER TURN OUT OF ABOVE 55% IN ITS STRONGHOLDS IN 2021,THEN YOUR KAINDE WITH BE HANDED A RECORD 6TH DEFEAT WITH EASY!! !Therefore,it is up to the PF leadership to teach its voters before 2021 about the importance of voting in large numbers.BESIDES,PF WILL 100% RETAIN THE BAHATI SEAT SOON!! Intimidation and oppression against opposition and the voting public, then you can claim to be popular….not when you are blocking opposition meeting the public ati we are popular ??? Those pictures going on social media about brutalized pf members are evidence enough to nulify Shesheke results if PF is to do so. SG Katuka you are very old you don’nt think, you are one missleading HH. PF have petitioned the Sesheke results. Someone has alluded to tribalism here. The perceived tribalism has been created by Upnd under the instigation of HH. During open meetings he’ll talk about unity in the nation but during private meetings where ba ngwele like GBM are not around, he will encourage his “people ” to vote only their tribesmen. A mine club on the copperbelt is such a place where our friends don’t even bother to hide their true feelings. I have heard the President condemning violence from both his party and the UPND which is good and commendable. But the bottom line is that he has the key to stop this violence. And also Police need to be retrained on how to control masses – you never start controlling crowds by starting with force – NO NO NO. HH also has to improve by condemning violence in his party ,so far he just condemns the other side’s violence. And we also have people who need to be counselled – look at Sunday Chandas’ tone – always confrontational, this breeds fertile ground for our directionless youth to be fighting. HH has a unique way of inciting violence. …he simply tells his cadres to hit back whether they are attacked or not.